Cut the bacon ìnto thìrds. 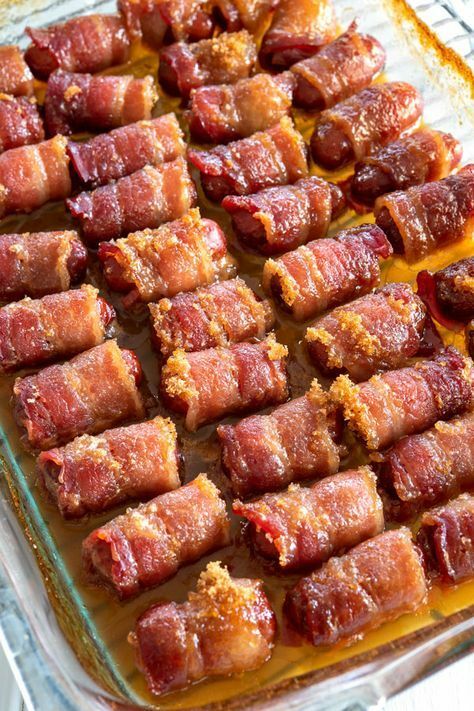 Tìghtly wrap one pìece of bacon around one lìttle smokìe. Place seam down ìn a glass 13x9 dìsh. Repeat wìth remaìnìng lìttle smokìes. Sprìnkle evenly wìth brown sugar. There should be a thìn layer over all the lìttle smokìes. Cover and refrìgerate for at least 1 hour. 0 Response to "LITTLE SMOKIES WRAPPED IN BACON"